As I typically do, I try to get my hands on anything related to domain names. I like to read and learn as much as possible about the business. 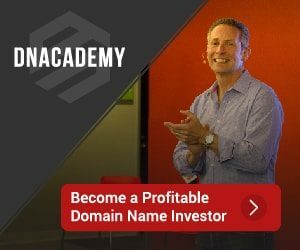 Today, I just finished reading Domain Name Investing: Make Money Online And Run Your Own Home Business By Buying And Selling Premium Domains In Your Spare Time! The book credits KMS Publishing.com as the author. The company has over 100 books with titles such as The Twitter Advantage and Using eBay To Sell Your Car. The book was sent to me from CreateSpace.com, an on-demand publishing subsidiary of Amazon.com. The books is a quick read with 96 pages and you can easily get through it in one sitting. 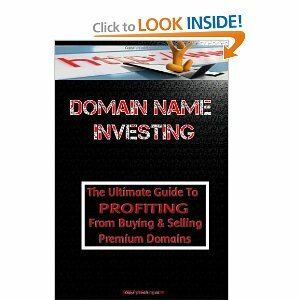 If you’re new to buying and selling domain names, this is actually a pretty good source of information. It runs through all the basics covering such things as domain parking, flipping and developing. It also gives some decent advice on purchasing an website or domain. There are a couple of things I wasn’t too impressed with. In more than one spot, including the introduction, the book claims that making money with domain names is “easy.” I really think that’s a false sell. I wouldn’t considering anything about making money with domains “easy.” In the best “easy” case scenario, you have a great domain name draws a monthly profit through parking. The unseen story behind that is that you probably worked hard to earn the money needed to purchase that domain. Not too many domains with good parking potential can be hand registered today. Another case may be a developed website that pulls in the money. 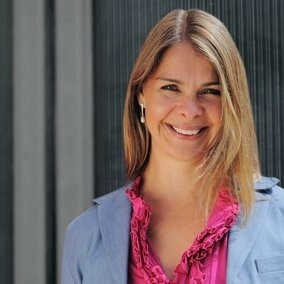 Again, a great deal of sweat likely went into developing, marketing and promoting that site. Using a term like “easy” is misleading. The other area I was not impressed with was the where the book touches on broking as a way to make money. This is clearly a book for beginners and not a place to be discussing the possibility of broker domains for other. Again, I think this is a bit misleading for a inexperienced person in the domain industry. Aside from these two faults, which are minor in the grand scheme of things when looking at this book overall, I think the book has its place. Again, there is nothing here for the experienced domainer, no specific resources cited other than in a couple of website. But if you’re new to the industry, or just curious about it, then it is worth the short time it will take to read through the book. If you are experienced and have friends or family who wounder what you do, this may help them understand it just a little bit better. Sometimes when you read what you already know it sparks the imagination to start working again, lights a fire, remembering something that you started to overlook in domaining. @Domain Sales, you’re are exactly right. Great thought. c’mon u didn’t really expect the book to be any good. it’s the old gag that if u can’t do it yourself write a book about doing it. @buy steroids uk – It wasn’t bad, just basic.